True Value is making changes to multiple aspects of its supply chain. A $150 million investment will cover changing to a hub-and-spoke model for fulfillment, upgrading its planning and ordering software, working to optimize its transportation routes and constructing a new distribution center in Hanover Township, Pennsylvania. After a deal with private equity firm Acon Investments one year ago, the number of stores for which True Value fulfills orders grew significantly. It added more than 300 retailers last year (in additional True Value locations and wholesale customers) and more than 190 so far this year, according to James Harrington, VP of Supply Chain. "We need to invest to get capacity there to service all those retailers," Harrington said in an interview with Supply Chain Dive. 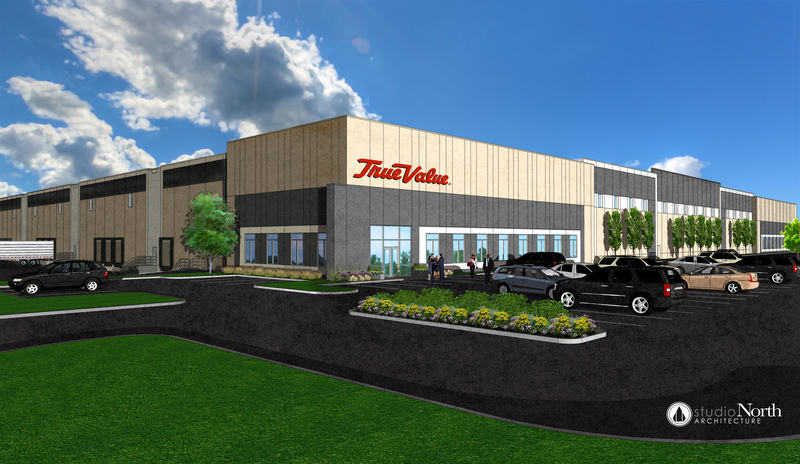 True Value transitioned to a hub-and-spoke model for fulfillment in its Midwest stores last December. Before this change, it operated on a single tier model where "the vast majority" of SKUs moved through 12 distribution centers, and some of the slowest moving items came from a single facility that would send the items to their final location via FedEx. "As we put it in the Midwest it helped drive better fill rates, better efficiency and velocity in our SKUs, and gives us the space to have a more expanded offering," Harrington said. This model has one "hub" location for a region that fulfills the slower moving items that True Value stocks (such as large power tools) while the spokes will deal with the faster-moving inventory (such as gas cans). When a store places an order, that order is split into hub and spoke items and processed separately. The hub items are overnighted to the spoke facility where they merge the next morning and are then delivered in a single shipment to the final store. Prior to this implementation, True Value had in-stock service levels of 97%. The Midwest now sees levels closer to 99% with the hub-and-spoke model in place, Harrington said. The company already has a facility in the Midwest that was transitioned to act as a hub. It is building a facility in Hanover Township, Pennsylvania, that will act as the hub for the Northeast region. This new facility is expected to open this fall. The company will then begin looking to bring this approach to its southern and western regions. The new Pennsylvania location won't have a lot of automation on the inside. This is due largely to the company's variety of SKUs and the kind of orders they're filling, Harrington said. "We don’t operate like an e-commerce facility, so most of our orders are actually a quarter truckload or more," he said. "From an automation perspective, when we looked at it, it didn’t make a lot of sense whereas it might if you were doing e-commerce." The company is continuing to evaluate automated technologies. The new planning and ordering software from JDA will allow for consideration of more variables, including weather and the cost of different transportation modes. This should help to optimize fill rates with the same or lower inventory levels, Harrington said. The company analyzes inbound scheduling and management data to figure out where changes can be made and efficiency gained. True Value is in the second phase of looking for greater efficiency in its transportation network. The first phase looked at inbound logistics for international inbound and the domestic legs of that volume. The second phase looks at inbound domestic flows and optimizing the use of full truckloads and cross-docks for reducing cost and improving lead times. The third phase will look at integrating its outbound logistics network with its inbound product flow. Update: True Value clarified the third phase of its transportation network overhaul.